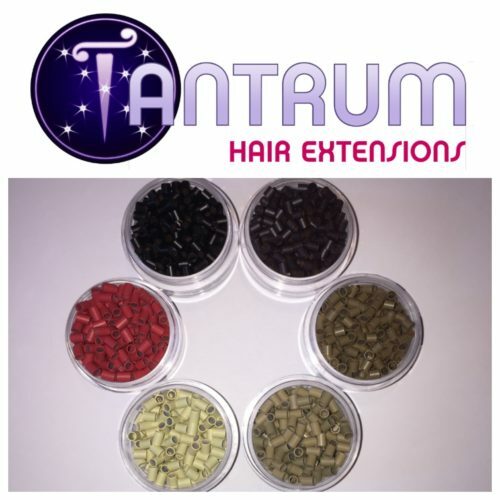 Tantrum mini micro rings are perfect for fitting with Tantrum mini I-tip Russian hair extensions. They are very small and discreet and lay flat to the head which makes them very comfortable and totally undetectable. Our locks are made from copper which are very strong and don’t slip. Available in 6 shades to match all root colours for best results on every application. Each pack contains 200 rings. For best results these should be applied using our application pliers available in the tools and accessories section.